The first city in the world to see the new dawn, the Gisborne region is also proud to claim to be New Zealand’s largest citrus growing area. Its temperate coastal climate creates premium growing conditions and lends itself to growing nearly all varieties of citrus. Regardless of size, local growers can contribute to overall citrus production thanks to First Fresh who represent more than 100 local growers: overseeing rigorous NZGAP certification requirements, guiding growers to self-manage crop protection programmes, co-ordinating multiple harvesting — all to bring us delicious lemon, lime and grapefruit for Anathoth Farm jams, curds and marmalades! Citrus growers are very mindful to keep away from any sprays that could cause damage to bees. Bee-friendly sprays are becoming more prevalent and any essential spraying is typically done before or after any bee foraging activity (in the evening or when plants aren’t in flower). Without harsh sprays it is difficult to completely eliminate citrus-loving insects from grazing on the surface of the fruit. While they don’t affect the quality of the fruit, some tiny insects can create some discolouration on the outer rind itself. From small brown spots, to race-track swirls, it is important to know that blemishes are only skin deep. Grapefruit in particular has very fragile skin and can mark easily. Just as you’d expect in your own backyard orchard, pesky insects such as White Fly, Thrips and Mealybugs are the causes of the odd rind blemish. 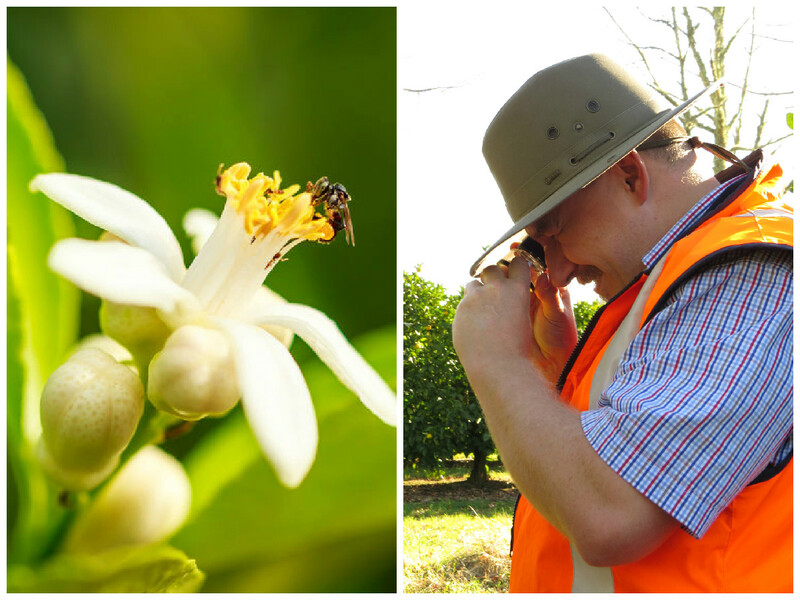 Some growers choose to use pheromone traps (a natural pest irradiation method) that helps trap citrus flower moths. The great news is that most citrus grown in New Zealand isn’t sprayed with any post-harvest fungicides however they are ‘washed and waxed’ on the journey from tree-to-trolley. It helps keep the fruit from dehydrating while in the cool store. A light film of natural fruit wax keeps the fruit from dehydrating while in cool storage. Wash your fruit: If you are planning to use citrus whole (for example, grating the rind or preserving the fruit whole) it is recommended that you scrub it first. 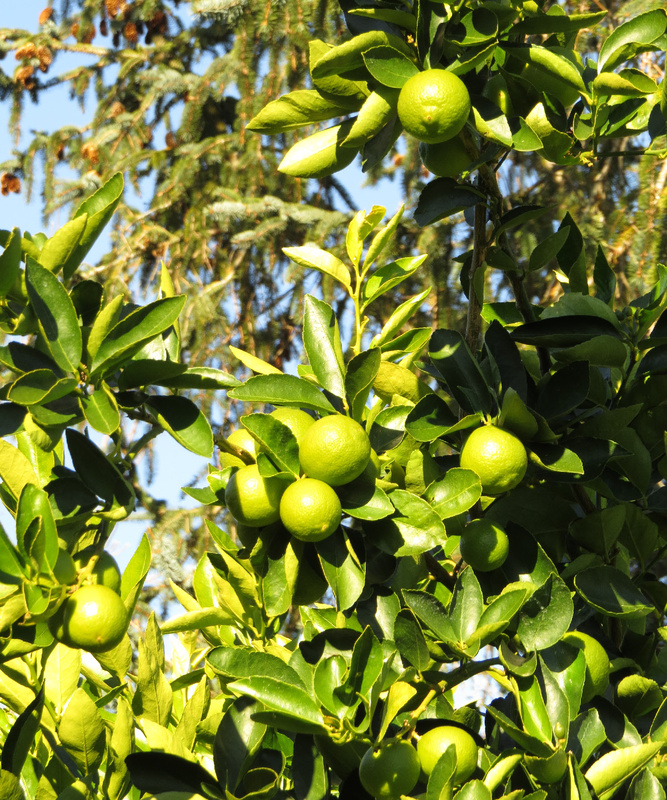 Even home-grown citrus would benefit from a wash before use, as garden fertilisers whether directly applied to the soil or foliage, or even residue may drift onto fruit from other parts of the garden. Juicy Yellow: if you are looking for a “super juicy” lime go for the yellowing fruit. Bright green limes earlier in the season are not so juicy. They yellow as they ripen, which can be confusing sometimes as we aren’t used to seeing this in glossy magazines. Too much, too soon? If you backyard harvest of citrus to too much to eat, citrus can be minced and frozen. One flower wonder: Typically an orange tree will only flower once per year, as with grapefruit and lime. Incredibly, trees can grow to 30-120 years old — if the tree is pruned well and soil nutrients replenished after each season. The magic number: According to much research, when pruning mandarin trees allow 25 leaves per fruit – this is the optimal number of leaves for a great mandarin!